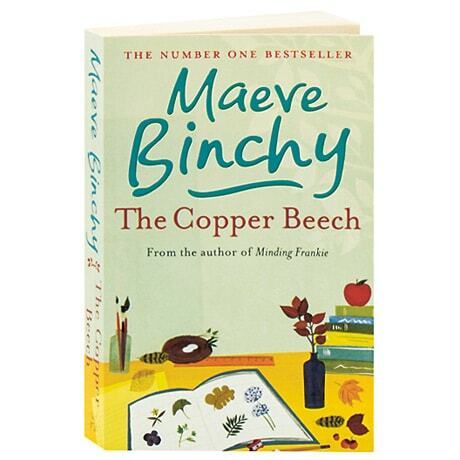 By the schoolhouse at Shancarrig stands a copper beech, its bark etched with the names of generations of students who have grown up under its branches, in this 1992 novel from Maeve Binchy. The children play under the careful watch of Junior Assistant Mistress Maddy Ross, even if out of school her gaze lingers where it shouldn't. Maura Brennan, a bundle of fun from the rough end of town, plays with her pals Eddie Barton (a leap year baby and the apple of his mother's eye) and Nessa Ryan, who little realizes as she carves Eddie's name into the roots of the tree on the last day of school that she'll get a lot more from her schoolmate than her first shy kiss. The copper beech witnesses even more of the town's passions, rivalries, friendships, ambitions, and jealousies than do the town's curate Father Gunn or its physician Dr. Jims, and Binchy tells many of their interwoven stories. One of our favorite storytellers at Daedalus, the Irish PEN Award winner and longtime Irish Times columnist wrote 17 novels and four collections of short fiction, from Light a Penny Candle and Circle of Friends to Tara Road and Chestnut Street. "Binchy makes you laugh, cry, and care," noted the San Francisco Chronicle. "Her warmth and sympathy render the daily struggles of ordinary people heroic and turn storytelling into art."